Four Winns took care to provide quality, elegance, comfort and convenience, while endowing the 365 with innovations rarely seen or unavailable on other cruisers at the time. Her spacious wide-open interior is bright, modern and tastefully decorated in neutral tones and quality fabrics. The V-berth stateroom has a large centre queen bed with water jet spa under, excellent storage, and a hidden sliding privacy door. A unique foldaway dinette table converts to a berth with dedicated storage for the table. The mid cabin has standing headroom at the entrance, and the U-shaped lounge converts to a double berth. A well equipped galley overlooks the cabin and has excellent storage, good counter space, built-in appliances and great lighting. 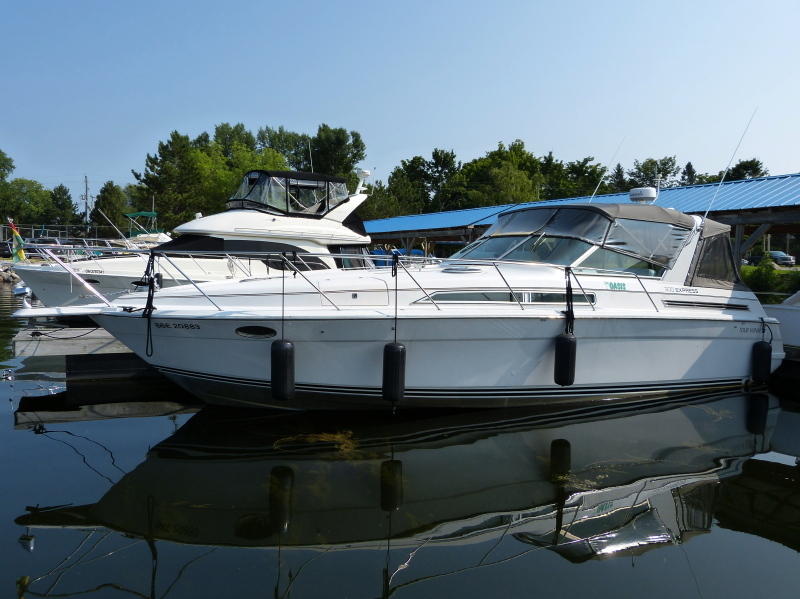 A one-level nonskid walk-around begins at the transom, and this feature, combined with molded sidewall steps in the cockpit, makes dockside entry easy, safe and convenient.